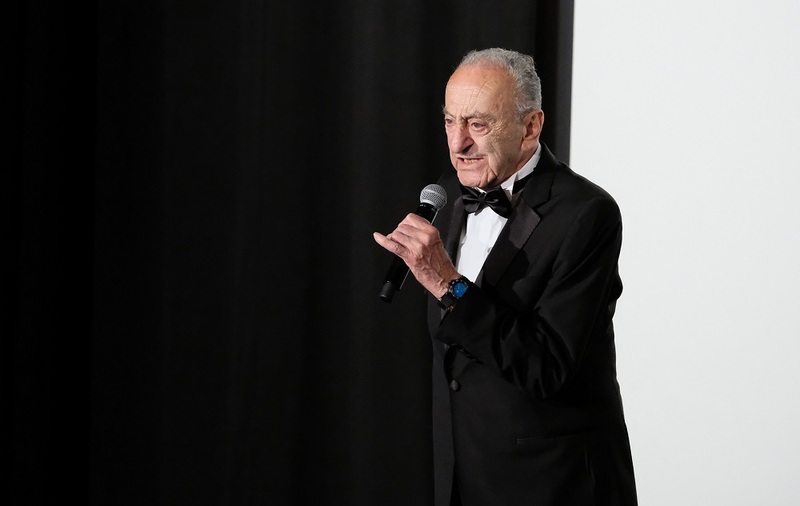 Beirut – Sixty years after first presenting his film, “Towards the Unknown” (“Ila Ayn?”) at the 70th Cannes Film Festival, the “father of Lebanese cinema” Georges Nasser, 90, once again walked the red carpet on Thursday. In emotional scenes, the crowd at the red carpet gave him a minutes-long standing ovation where the director’s film was being presented at the Cannes Classics portion of the festival. It was the first Lebanese film to be presented at any international festival. “Lebanese cinema did not exist at the time. We were its pioneers,” he said. “This film proves that Lebanese cinema does not only go back to 20 years, but was launched long before then,” said Fremaux. A new restored version of “Towards the Unknown” was shown at Cannes. The restoring process was made possible through an initiative of ِAbbout Productions and the Lebanese Cinema Foundation (Fondation Liban Cinema). Abbout Productions and the Lebanese Cinema Foundation had described Nasser’s movie as “a national treasure.” They chose to remaster it to preserve it and allow future generations to watch it.